From the neatly tended urban necropolis to the long-forgotten family plot at the end of a winding gravel road, these "quiet cities" of the Ozarks have the power to send chills up and down the spine of the most hardened skeptic. 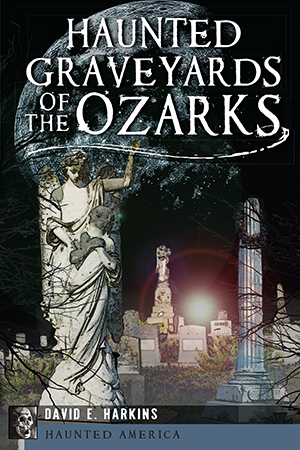 Be it the restless Civil War soldiers of Greenbrier, the mass murderer who stalks Peace Church or the red eyes that persecute visitors to Robinson, tales of ghostly activity abound in every burial ground carved out of the ancient Ozark hills. Follow Dave Harkins as he explores the fascinating history and unsettling lore clinging to these haunted graveyards. David Harkins is the founder of The Ozarks Paranormal Society. He and his team were featured on the Travel Channel program "Legends of the Ozarks" investigating the activity at Wilson's Creek National Battlefield near Springfield, Missouri.